For the third consecutive year, Tero Marine could welcome customers in the APAC region to a TM Master User Forum in Singapore. 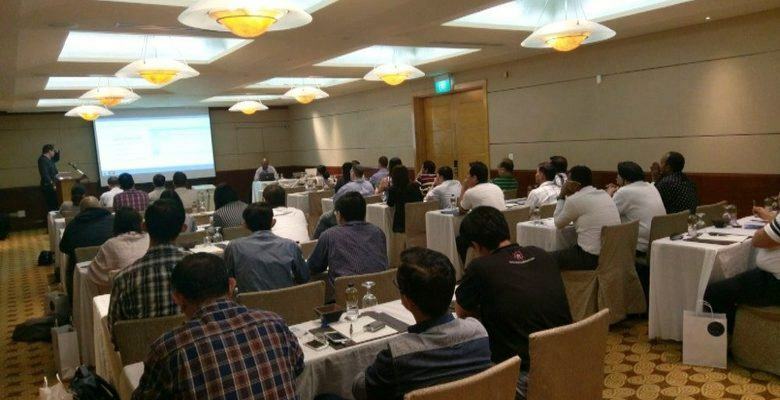 Around 40 participants gathered at The Fullerton Hotel to get some fresh TM updates. It is now an annual tradition: The day after APM/Sea Asia closes, Tero Marine invites APAC customers and partners to a TM Master User Forum. And like the two first user forums, the 2017 edition was also held at The Fullerton Hotel. On April 28, our Regional Director, Satish Kanakasabai, could open the forum in front of a packed conference room. The program for the event included company presentations, software updates and a walk-through of our development plans. After the conference program, participants gathered at the Fullerton’s Post Bar, enjoying drinks and some savoury bites - a pleasant conclusion to the event. The Tero Marine team would like to express a heartfelt appreciation to all our participants, who contributed greatly towards the success of this conference. We hope to see you all again at the User Conference in 2018!